Aurelien Regard is an independent developer that's perhaps most known for developing The Next Penelope, although the next project it's working on is very different to that. The project we're talking about is called AWAY, a first person adventure game that is said to combine action and negotiation mixed in a rogue-lite environment. Plug In Digital’s new label, Playdius, are stepping in to help publish the game, which will be released for the PC, Xbox One, PlayStation 4 and Switch sometime in 2017. 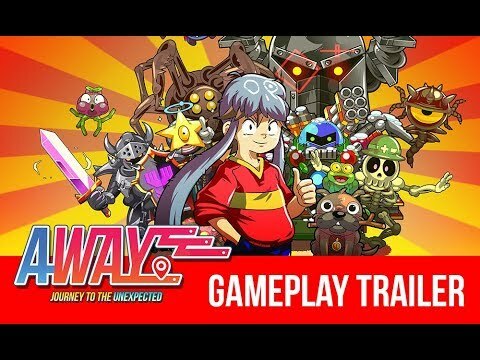 Away: Journey to the Unexpected was released on Switch 75d ago in the US and the UK.